Just for my information, what is the procedure and supplication for salat-al-Hajat? I checked several sources. While there is unanimity on the number of rakats, two rakats, everyone is quoting different extra-Quranic supplications. I realize there's no need to pick different titles for our nafl salats asking Allah Almighty concerning our different needs. We can request The Almighty in regard to whatever needs and requirements at the end of our daily five salats as well. What's significant is purity of intent and the strength of our Faith in HIM alone. After all, Allah does not decide to accept our prayer by picking the title we give to a particular salat. Nonetheless, extra worship is always a plus for our souls. Thus, nafl prayer (whatever might be the purpose for it) can be offered with any number of rakats and reciting any Quranic Verses we prefer to choose, ending with our own extra-Quranic supplication in conformity with the values of Monotheism. Istakhara is supposed to be offered to help us make important decisions without confusion. Salat-al-Hajat is traditionally offered for the accomplishment of a certain goal or fulfillment of a desire or simply acquiring peace of mind from profound distress etc. My query on the procedure of the prayer titled Salat-al-Hajat (in particular, the supplication suitable after completing the salat) is just for my information. Walaikum As-Salam dear Sister Ruhi. Everything you stated covers it all. I agree totally that as long as we have the right intent with our focus on Allah alone, we can ask Him for whatever we need in our daily prayers as well as nafl prayers, and nafl prayers can be of any number of rakats. Also, the man-written supplications or duas can have any wordings we choose, but must be in accordance with the rules of Tawheed. The standard or traditional method of Salat-al-Hajaat is offering 2 rakats of prayer (after wudu, of course) in exactly the same way as we offer our 5 daily salats. After finishing the salat, you can select your own dua in your own words. If you try to find a standard dua, you may end up confused as there are dozens of them ... different people drafting their own duas and that's okay. So, at the end of the salat, you can supplicate in your own words. Concerning the procedure of the salat, I once read on a Pinterest board that one of the Quranic Verses to recite in Salal-al-Hajaat is Ayat al-Karima (Verse 87 of Surah Al-Anbiya) one-hundred times on your tasbih after reciting Al-Fatiha. Needless to say, Verse 21:87 is an amazing Ayat. It carries huge future benefits if recited with sincerity and the right understanding. But you can recite any Quranic Verses while offering 2 rakats, as long as you have a strong Faith and pure niyaah (intent). After all, all Quranic Verses are beautiful and amazing, Alhumdulilah. Thanks dear sis. That's what I wanted to know. Btw, what's the meaning of "hajat" ? Some sources also suggest to recite Surah Kafiroon in first rakat and Surah Tawheed in the second rakat. As Sister Heba said, you can choose any Quranic Verses you wish. But since Surah Tawheed is indeed the essence of the Quran, it would be very good to recite it as zikr after finishing the salat, prior to the dua. In Urdu it's said حاجت مند or ضرورت مند (hajat mand or zarurrat mand) meaning needy. Another word for needy in Arabic and Urdu is مفلس (muflis). Walaykum As-salam. That's a very interesting thread. As my dad says, offer the 2 rakats like any normal prayer with the niyah that it is Salat-al-Hajaat. The real purpose of the 2 rakats of prayers prior to your supplication (dua) is to purify your dua and help to make it special. 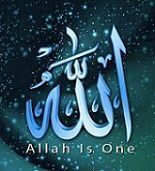 If this entire process contains sincerity, patience and love for Allah Almighty alone, InshAllah, He will lessen your earthly burdens. Very correct brother TS. Your dad is 100% right. Ah! yes, the urdu expression "hajat mand" I now recall. Yes "hajat" means needy or its synonym in urdu "zaroorat." That's so correct brother TS.